* Is Clinically Proven Effective in Real Patient Cares, because herbs with various roles are coordinated to correct systemic pathogenesis. *Is far different from big company products made of collections of similar, publicized herbs with antioxidants or biochemicals which do not coordinate works at a system level ! Chronic Poor appetite, with indigestion, fullness or distending discomfort in abdomen after meals. Common among the elders whose symptoms are sometimes overlooked. One may also have unpleasant sweet or sticky sensations in the mouth and loose stools often. 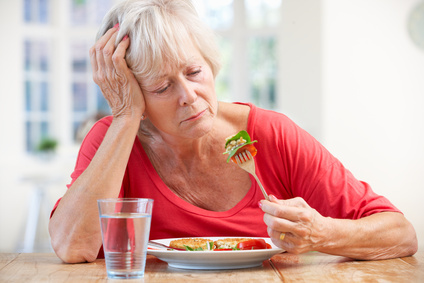 Megace is the only biomedical treatment for loss of appetite, universally and widely prescribed at nursing homes, despite hormonal side effects such as elevated blood sugar, edema, thromboembolism. 만성 빈약 한 식욕, 식사 후 복부의 소화 불량, 충만감 또는 팽창성 불편 함. 노인들 사이에서 흔히 볼 수있는 증상이 간과되는 경우가 많습니다. 또한 입안에 불쾌한 감미 롭거나 끈적 끈적한 느낌이있을 수 있으며 종종 대변이 느슨합니다. Megace는 혈당 상승, 부종, 혈전 색전증과 같은 호르몬 부작용에도 불구하고 요양원에서 보편적이고 널리 처방 된 식욕 감퇴를위한 유일한 현대의학 치료법입니다.